Here is a record found in a box of 78s I bought in a flea market near my place a few months ago. “Aman Adanali” (Aman Adanalı in Turkish) is a well known anonymous folk song in Turkey, as evidenced by the numerous old and modern versions that can be found on Youtube. 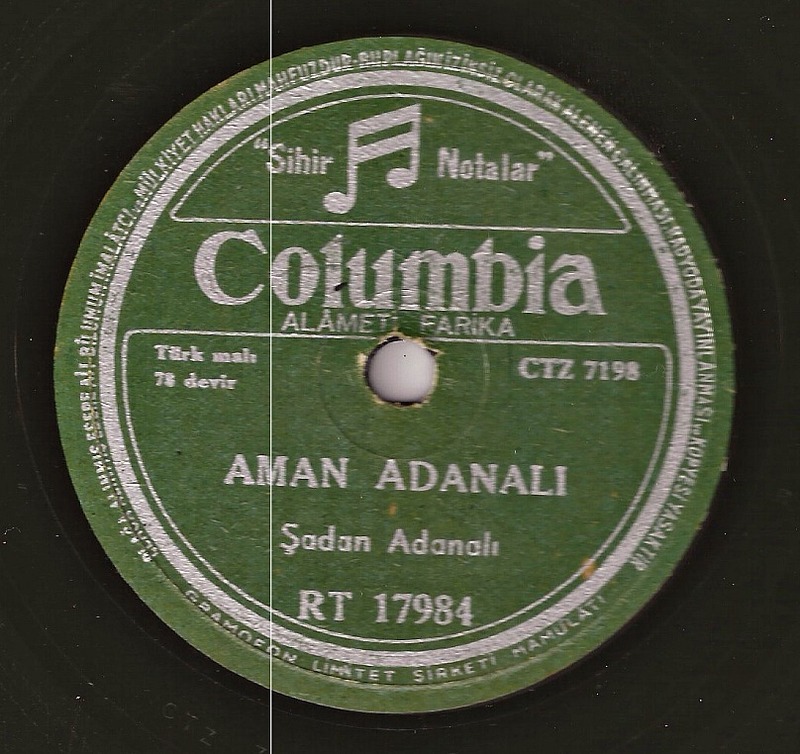 This one was performed by the singer and actor Sadan Adanali (Şadan Adanalı). The unique source I found about him online is this website (in Turkish) run by his son A. Korhan Adanali. Adanali was born in 1924 in Adana, in the south of Turkey, and died in 2002. 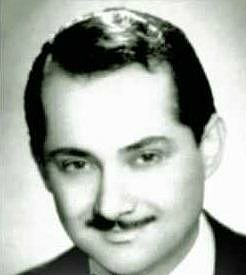 Parallel to his career as a theatre and movie actor, he made several recordings for Columbia Turkey (more information about the history of recorded Turkish music in this article). To conclude this post, I announce you that I was contacted a few weeks ago by a visitor, who offered me to clean my recordings. This can be very useful sometimes because of their bad condition. So let me thank Mr Al Quaglieri, a producer from New-York, who made a great job restoring this song ! Writing this post was really a collaborative work as I received the help of different persons. That’s really the good side of the internet ! Very informative post. Btw, your blog seems to be one of its kind resource on traditional music. Good luck with your posts!